Nexus! Nexus! Nexus! So much information -- where to begin? This easy-to-follow guide has everything you could possibly want to know about Google's latest Android gadgets. 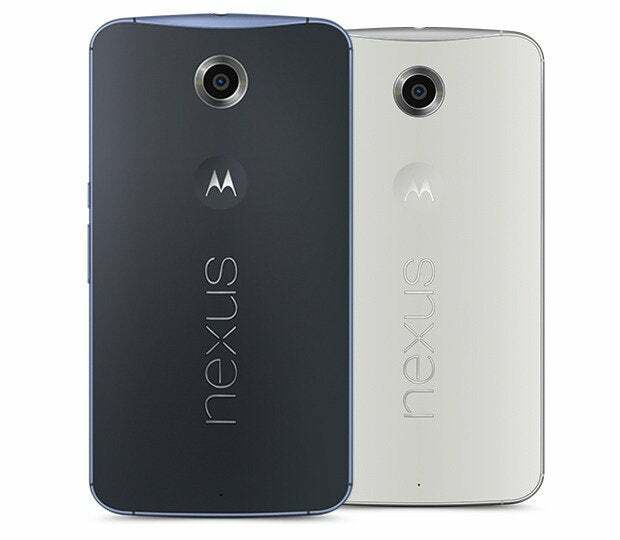 Got Nexus? 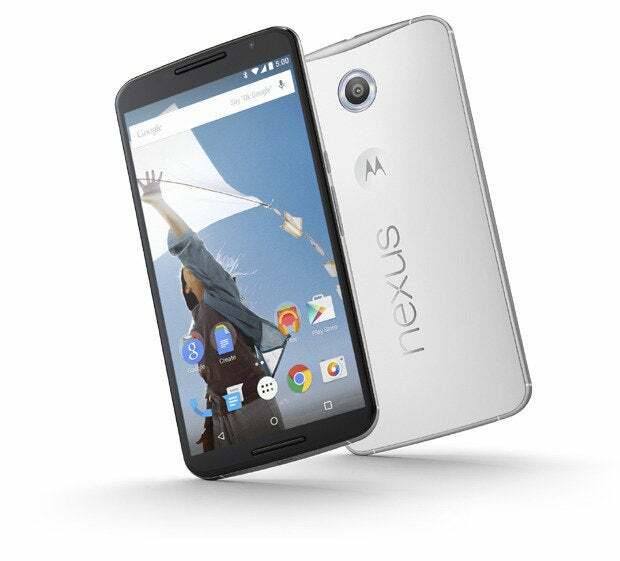 After months of rumors, leaks, and lusting, Google has officially launched its new lineup of Nexus devices along with Android 5.0 -- wait for it -- Lollipop. We're actually getting three new Nexus devices this year: a Nexus 6 phone, a Nexus 9 tablet, and a Nexus Player streaming media device. They're all set to go on sale later this month and actually start shipping in November. There's tons of info out there today about the various devices, and it's a lot to take in and process. So let's make it easy, shall we? In short: The Nexus 6 is a gigantic version of the 2014 Moto X, with beefed-up specs and pure Google software -- and without all the fancy material options. The Nexus 6 has a 6-in. (5.96, if you want to be precise) Quad HD display along with dual front-facing stereo speakers. It measures in at 6.3 x 3.3 x 0.4 in. -- which, for comparison, is a good bit bigger than Samsung's 6-x-3.1-x-0.33-in. Galaxy Note 4. This ain't no petite device. The phone has a giant 3220mAh battery and also works with Motorola's Turbo Charger accessory, which promises to add an extra six hours of use with just 15 minutes of charging. It has support for wireless charging, too, which the Moto X does not. Like the Moto X, the Nexus 6 has a 13-megapixel rear-facing camera and a 2-megapixel front-facing shooter (you can see what that setup is capable of here). Unlike the Moto X, the N6 adds optical image stabilization onto the back and will use Google's own Camera app instead of the Moto-made equivalent. Contrary to some rumors, there is no SD card slot. The phone does, however, come in a choice of 32GB or 64GB of internal space. The Moto X is a champ in the realm of performance, so this shouldn't be of any great concern -- but for those interested in parts and numbers, the Nexus 6 has a newer processor (the Qualcomm Snapdragon 805 quad-core chip clocked at 2.7GHz) along with 3GB of RAM. As mentioned above, the Nexus 6 won't come in leather, wood, or customizable plastic casings like the X; instead, it'll come in a choice of "Midnight Blue" or "Cloud White" motifs, both of which appear to be soft-touch plastic materials. The "always-listening" feature popularized in the Moto X -- in which you can wake your phone and then give it voice commands by saying a launch phrase, even when its screen is off -- will be present on the Nexus 6, though with a slightly different twist: The feature is actually part of Android 5.0, but it works only with the generic launch phrase "Okay, Google" instead of with any custom launch phrase. Google did, however, utilize some of Motorola's technology so the phone can be trained to respond specifically to your voice and no one else's. The Nexus 6 will have a variation of Motorola's Moto Display, in which pertinent information is shown on your screen as soon as you pick up the device. That's also part of Android 5.0, though, so it's a bit different from the Motorola implementation in terms of presentation -- and it'll work only when the device is physically nudged, not when you wave your hand over the screen (as is also possible on the Moto X). In short: The Nexus 9 is a high-end 8.9-in. 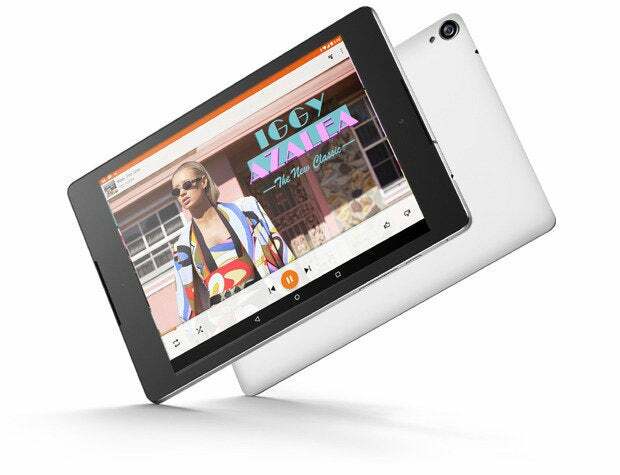 tablet that packs some serious power. The Nexus 9 has a 8.9-in. IPS LCD display with an unusual 4:3 aspect ratio -- part of "a new focus on productivity," according to Google -- and 2048-x-1536 resolution. It also has dual front-facing stereo speakers along with HTC's custom BoomSound audio enhancements. The N9 measures in at 6.1 x 9 x 0.31 in. For comparison, the 2013 Nexus 7 was 4.5 x 7.9 x 0.34 in. while the Nexus 10 was 7 x 10.4 x 0.35 in. This is very much an in-betweener type of tablet. The new Nexus will use a 64-bit processor -- NVIDIA's Tegra K1, along with 2GB of RAM -- which Google promises will deliver "all the power and graphics of a desktop computer." The Nexus 9 has a 6700mAh battery. In terms of actual usage, it's listed for up to 9.5 hours of active browsing over Wi-Fi or up to 30 days of standby. Please don't be that person who takes pictures with his or her tablet -- please -- but the Nexus 9 has an 8-megapixel rear-facing camera. It also has a 1.6-megapixel front-facing lens for video chatting and (if you must) tablet-based selfies. 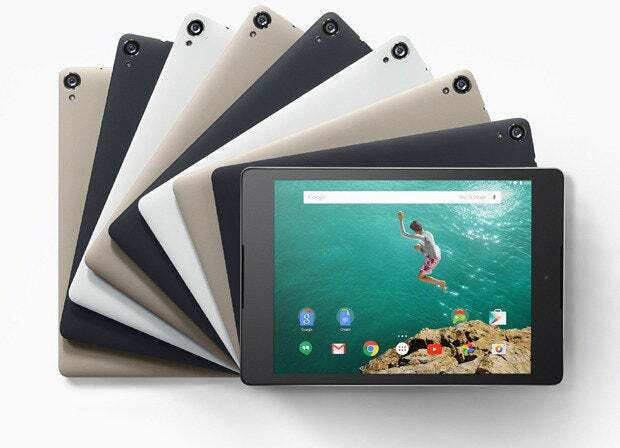 Like the Nexus 7 and 10 before it, the Nexus 9 has a soft-touch plastic back. It steps things up a bit, though, with the addition of "brushed metal" sides for a frame. The tablet will come in a choice of three colors: "Indigo Black," "Lunar White," and "Sand." The first two will be available at launch while the third will appear sometime later this year. Once again, contrary to rumors, there is no SD card slot on this device; you can get it with either 16GB or 32GB of internal space. In case you didn't catch the brief mention above, there will be an LTE-enabled model available. Specifics on that are still slim, but Google says it'll be coming "later this year," so we'll keep our ears open for details. 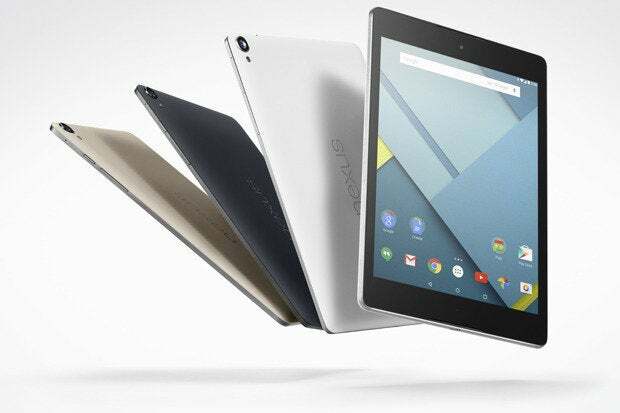 The Nexus 9 will support a new "tap to wake" option that's part of Android 5.0: Like we've seen on some manufacturers' devices before, you'll be able to tap twice anywhere on the screen to wake the tablet up. 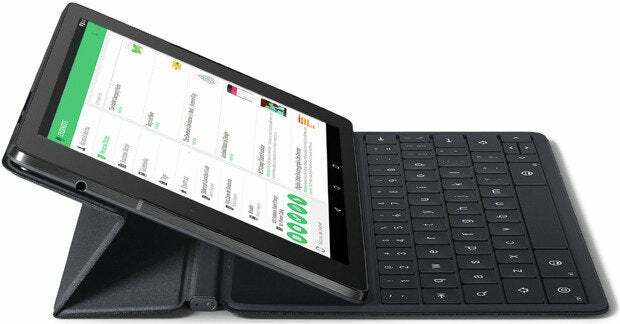 Google will be selling a special magnetic keyboard folio case along with the Nexus 9. It'll pair with the tablet via NFC. No word yet on how much it'll cost. And there you have it: a detailed breakdown of all there is to know about the new Nexus 6 and Nexus 9 (whew!). I'll be spending some quality time with both devices later this month, closer to their launches; stay tuned for much more coverage and full reviews in the days ahead.